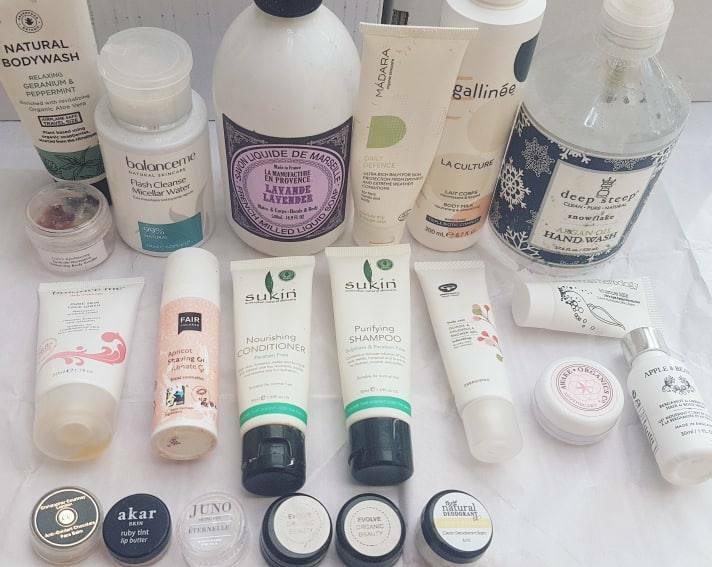 Just to remind you all why I paused, I was busy judging entries for 2019's Beauty Shortlist Awards and wanted to prioritize trialing those products, plus I was worried about how to navigate including any goodies I finished from those entries. Well, turns out I (well, we I should say -- most of these were used by Tim or by both of us) still ended up using quite a few things during that time! I made sure to finish up any products that were more than half gone already, as I follow the 'rule of whisky' which Tim so cleverly pointed out to me a few years ago -- basically, a bottle of whiskey stays 'fresh' until the halfway mark, but then once you drop below that point the flavour/aroma begins to change over time. 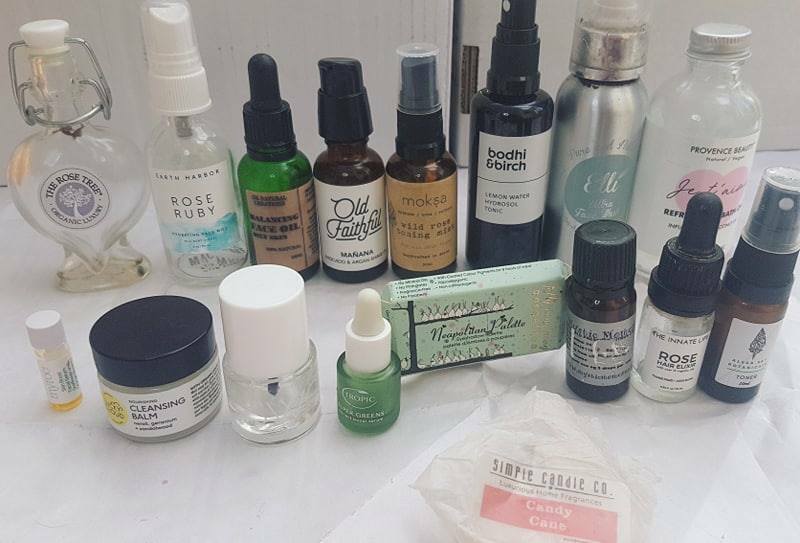 My approach to skincare and beauty products is pretty similar, and once a bottle reaches a certain point I try to finish it up within the next month or so just to make sure it doesn't go off. Anyone else do this?? And, well, as you can see below I got through 50 items *gasp* -- but it isn't quite as dramatic as that sounds upfront. The majority of these had been on the go for quite a long while (like the handsoaps and makeup bits). Plus, you have to remember this covers end of November through end of February! That is more than three months of empties rolled into one post! Of the 50, I was happy to find nearly all packaging was recyclable or able to be reused in some way. The only things that had to go into the bin were the candle melt paper and one other product (I have forgotten which as I waited too long before writing this post up -- sorry!). Unfortunately, since there are so many I won't be going into as much detail this time around as usual. What I will do though, is open things up for discussion in the comments! If you're interested in something specific or want to know more, let me know and I will drop more details. So with all that being said, let's jump into my empties! Buy again? : I would if I could! Buy again? : yes, but I have a full size to use first! 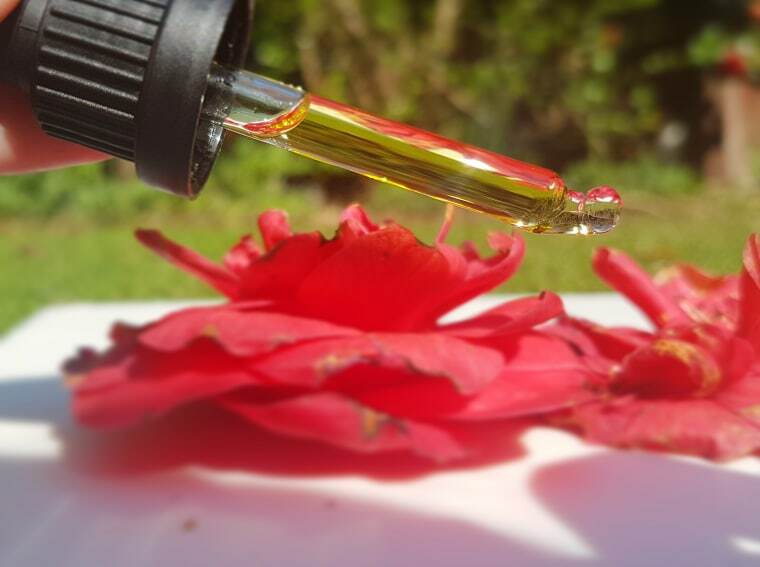 Negatives: coconut oil breaks me out, so this ended up being a bath oil for Tim! Buy again? : no. it doesn't seem to be for sale anymore, but I have linked to the one most similar/that has replaced this! Buy again? : I have another full size bottle to use up already! Buy again? : I don't like the way Tropic runs on consultant sales, but maybe direct from company? Buy again? : yes, I already have a full box to use! Negatives: not truly plastic free (bar was in plastic inside box), coconut breaks me out so this was actually used by Tim - he loved it though! Buy again? : not this one, but all the others I would! Buy again? : I already have one to use! Buy again? : definitely yes - just need to save up! Buy again? : this one has been redeveloped, but I would buy the new formula! Buy again? : already have a full size one to use! And that's it for my empties from end of November through end of February! There were so many, but considering many had been in use for more than half a year plus this covered over three months of products, this wasn't too bad. But what do you think? Are you shocked by how many I had to get through in this roundup?? 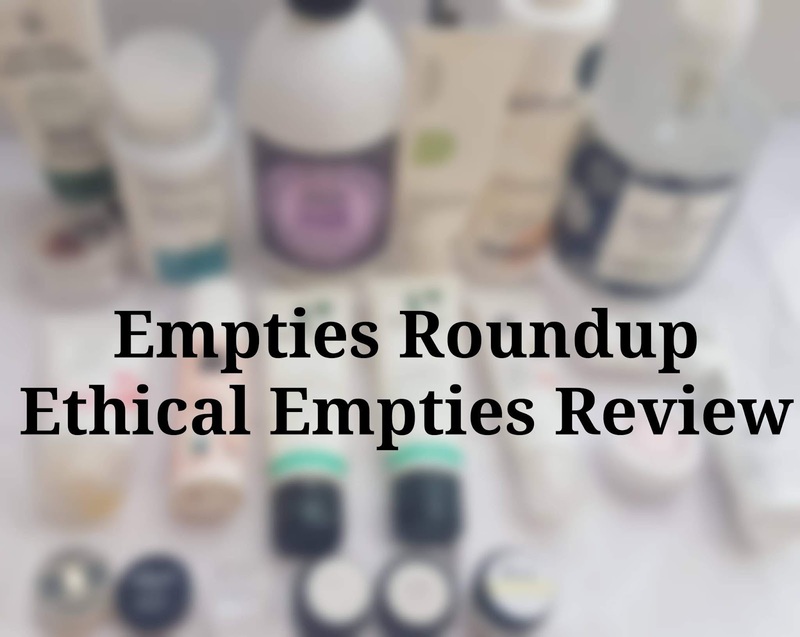 Did you spy any favourites in this empties post? Or are there any you are still curious about? Feel free to let me know in the comments, as I love the discussion! 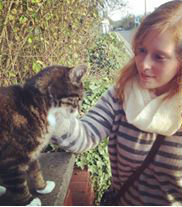 And of course I would be keen to hear what you used up recently -- it is so interesting to me! Wow, that's a lot of empties! 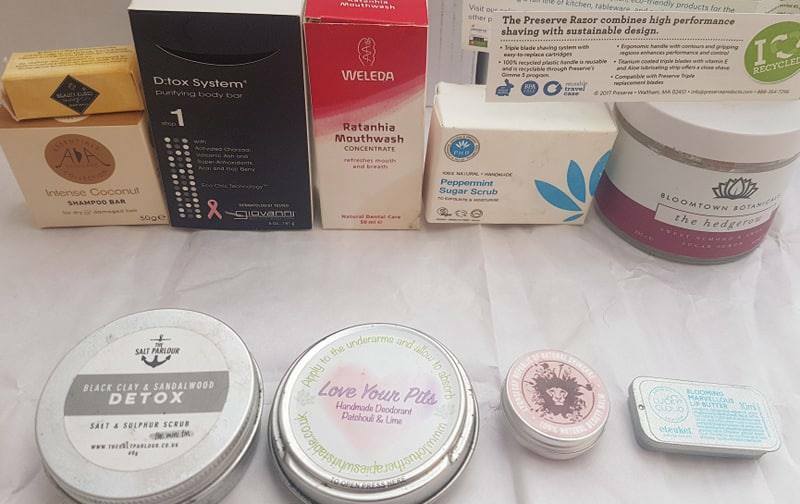 I would love to try the two deodorants you like: from The Natural Deodorant Co and Awake Organics. I love citrusy scents! Love this, so many goodies! I love the whiskey rule, I hadn't heard that before and it really makes sense.